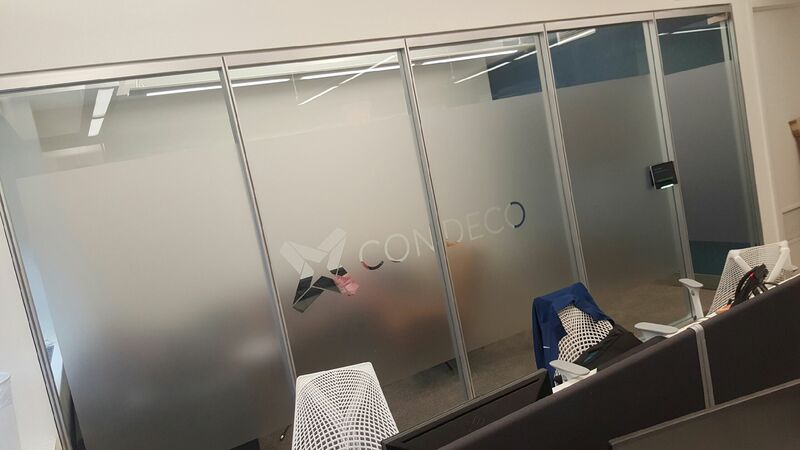 Condeco was seeking for some frosted film to bring privacy into their conference room. An alternative to the traditional frost film, a cutout of images, logos, and designs create a personalized and professional look to the conference room. Without compromising their need for privacy, Condeco was able to meet their practical needs with flair. This entry was posted in Blog, Frost Film, Recent Projects and tagged decorative film, frost film, interior design, offices, solyx, window film, window tinting. Bookmark the permalink.